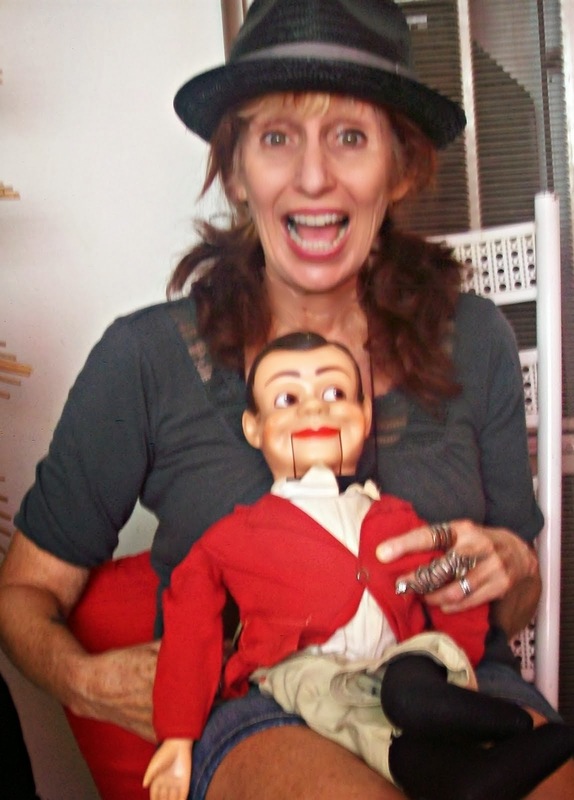 Here I am on the heels of MoFo showing up for a worldwide virtual pot luck. I actually have one more MoFo post to go but as luck my stupid luck would have it since I live on the left coast, our area is the first designated area to show up to the soiree with our culinary masterpieces. Welcome all you virtual potluckers! Hope you had better luck than me. Pardon me if this post is sprinkled with expletives, sighs and bad metaphors. I eventually triumph. I had this fantastic recipe whirling around my head for days. The ingredients and appliances and pots and pans were lined up. Each step was executed and my creativity matched my culinary prowess, at least until ...watch out first expletive coming at you. Fudge buckets...now the overused saying....God laughed at my plan. Oh chuckle, snort, bearded magician in the sky. And yes and now another Expletive..
Apple effing pie ice creme was on it's way to it's execution, and I don't mean me executing the recipe either. I mean the ice creme was on it's way to the electric chair. 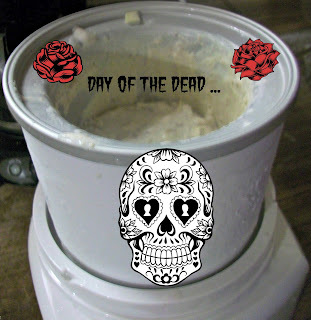 I was on the way to making you an apple pie ice creme and then the fates turned against me and the ice creme maker freaked out and electrocuted the ice creme. But damned if I'd miss this party. Place 1/2 of the apple in a sauce pan. Add 1/8th C water and sweetener. Heat to boil. In a separate cup mix 1/8th of C cold water with cornstarch. Add to hot liquid and simmer about 6-8 minutes. Stir often then let cool completely. This is also a great topping by itself over vanilla ice creme. Once cooled proceed with shake. Pour all ingredients into blender except chopped pie crust. Blend until thick and creamy. Fold in pie crust. Remember when life gives you a broken ice creme maker stomp your feet, then smile, move on and laugh in the face of adversity. Remember to check out the rest of the potluckers here. The party is hosted by Ann of an unrefined vegan (see above link) and Somer of vedged out, two awesome bloggers. And here are two more blogs, one is before me on the roster and one behind me. Please give them some love. The Joyful Pantry brought chocolate mint truffles. and Vegan Fling who brought some delicious cranberry granola cookies. 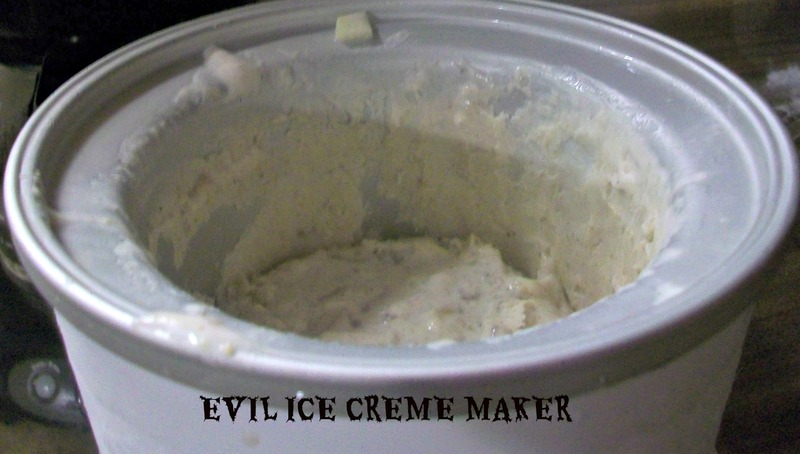 Now I'm off to party and chow down, that is after I give evil ice creme maker the boot! Awww, thank you Somer. I made do. Your post is fantastic and thank you for putting this together. Way to salvage it...the pie crust is a nice touch. I hope you kicked that ice cream maker to the curb! Nice save, however! Thanks, GiGi for taking it for the team and posting despite God's plans! Thank you Ann for throwing this huge party! i like the sound of the apple pie ice cream shake! nice save! 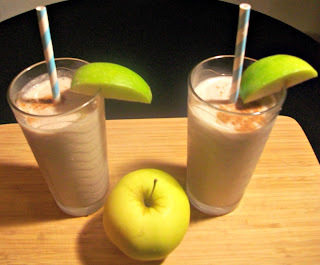 Apple pie ice cream sounds pretty good, but so does an apple pie smoothie. Thanx, Andrea. It ws easier to sip than eat while writing up the blog. Apple pie milkshakes sound so good right now. Forget dinner. I'll just have a milkshake, thanks! Thanx for swinging by Kristy. I like the sound of an apple pie milkshake! Sorry your ice cream maker got the best of you! 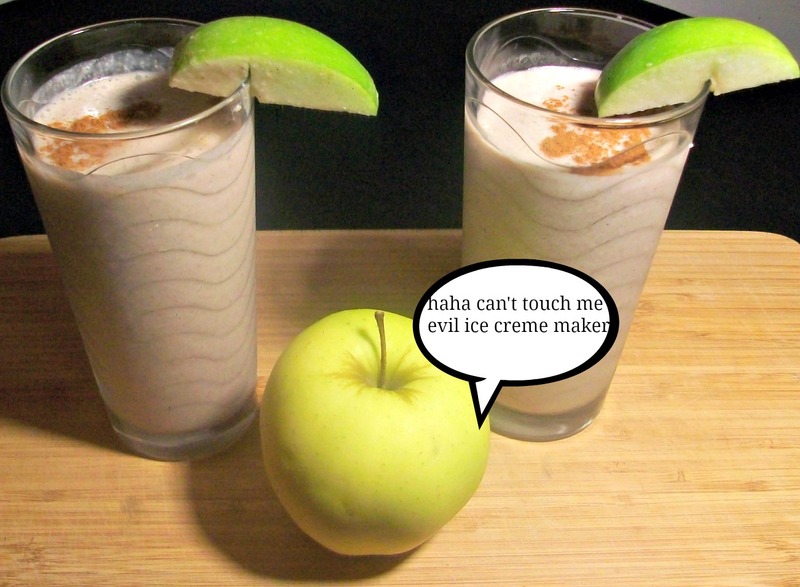 On the bright side, apple pie milkshakes sound pretty fabulous! yeah, I know. I think it's been evil since the get go. Thank you Cadry! aww, it's too bad your ice cream didn't work out, but the shakes look amazing! Thank you much! I am a trudger on the road of culianry destiny. Yum, great idea! Love that you turned the ice cream fail into a milkshake win! Thank you veganfling. Yay a win :) it actually worked who knew? Haha you showed that ice cream maker! In your face evil machine!!! The apple shall triumph. Humph! Hey you're no slacker! Now you tell me.